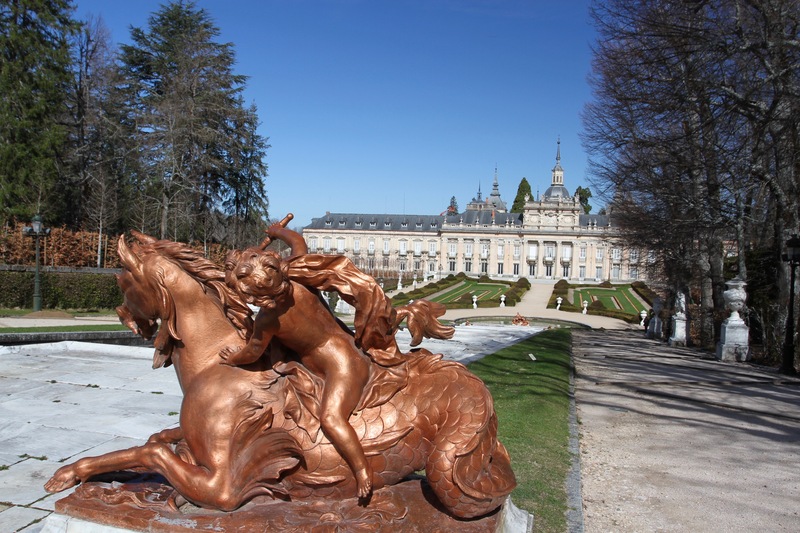 The fountains in the grounds of the Royal Palace of La Granja de San Ildefonso must be something special. When we bought our tickets, the woman who sold them to us made a big deal of telling us that the fountains, in all their magnificence, would be working at 5pm. I suspect that she was being sarcastic. It was 10am and, even if we weren’t flying back to the Netherlands before the water started flowing, the likelihood of anyone spending seven hours wandering around the palace and grounds in anticipation of the fountains, seemed far fetched. It was the first of several disappointments. 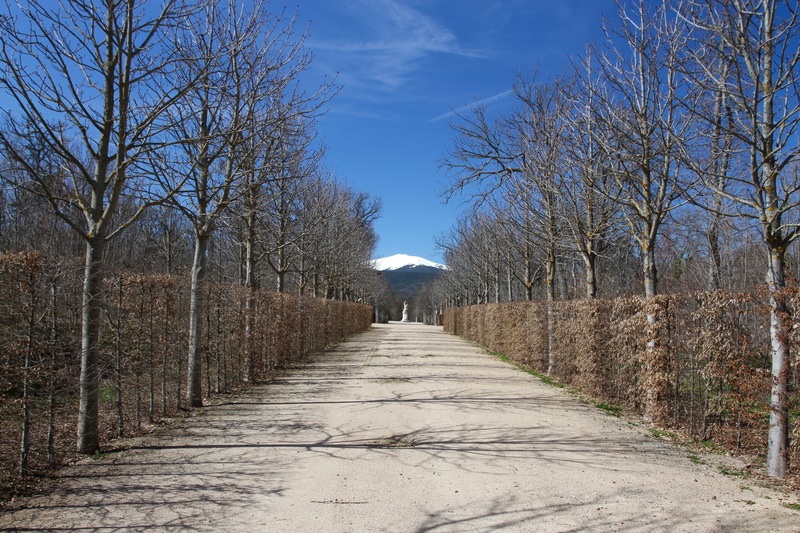 Between the over-officious security guards who surreptitiously but very conspicuously followed us from room to room, and the gardens that were still clothed in their winter attire, La Granja de San Ildefonso might have ended up being an underwhelming experience. 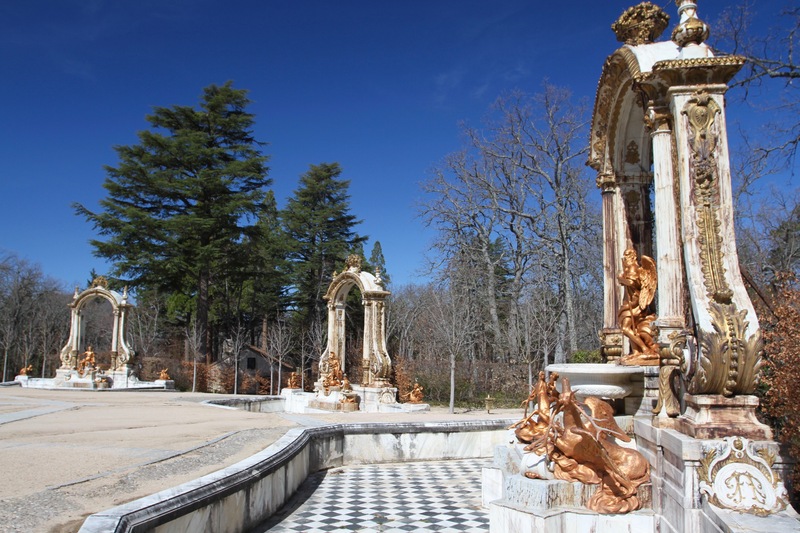 Luckily, the setting of the palace in the foothills of the Sierra de Guadarrama, the extravagant Baroque architecture and the simply extraordinary gardens surrounded by extensive forests, more than made up for it. 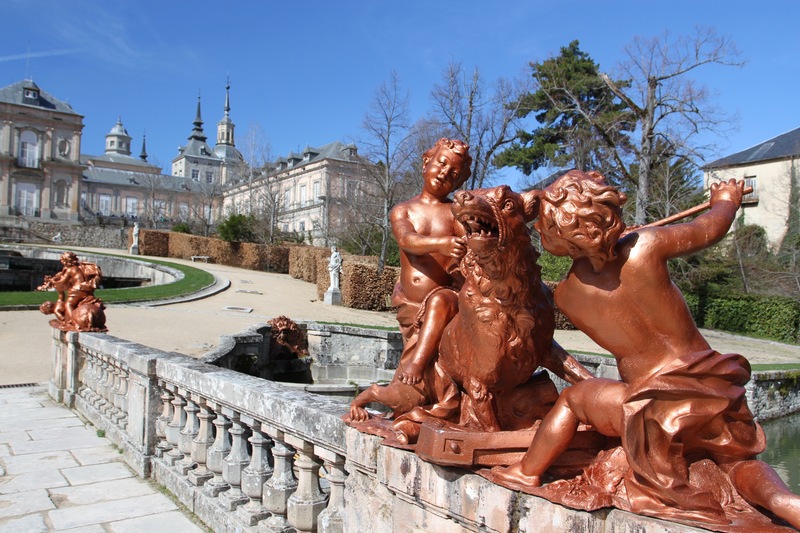 Although it was founded in the mid-15th century as a summer retreat for Henry IV of Castile, the town of San Ildefonso only became the grand royal playground of Spanish monarchs in 1720. 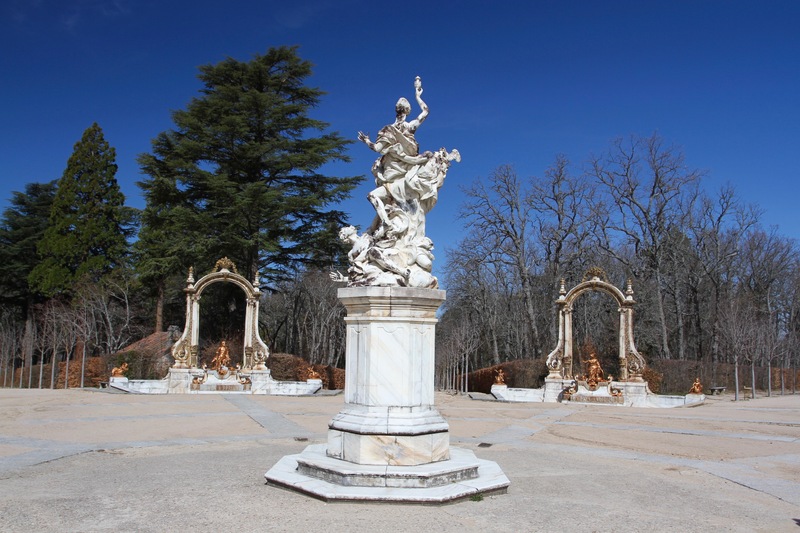 It was Philip V, the first Bourbon King of Spain, who bought it with the plan of building a summer palace that would rival the glories of Versailles where, as the grandson of France’s Sun King, Louis XIV, he had been born. At immense cost to the public purse, that is exactly what he did, build a palace renowned throughout Europe. 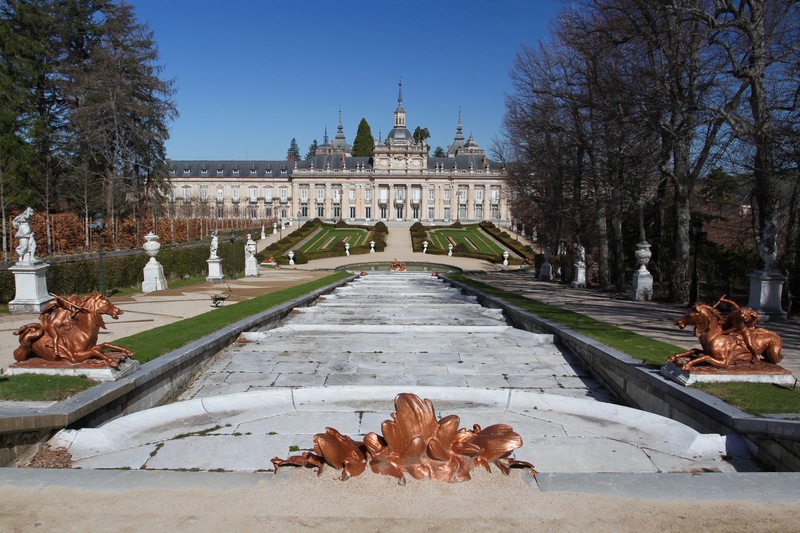 The palace began life as a ‘simple’ cool summer retreat from the furnace-like heat of Madrid, but it ended up the home of the Spanish government for several months each year. It was repeatedly expanded and the nearby town grew to accommodate all the courtiers, civil servants and diplomats that trailed behind the royal household. Military barracks and vast stables were added, and even a royal glass factory was built in the town. 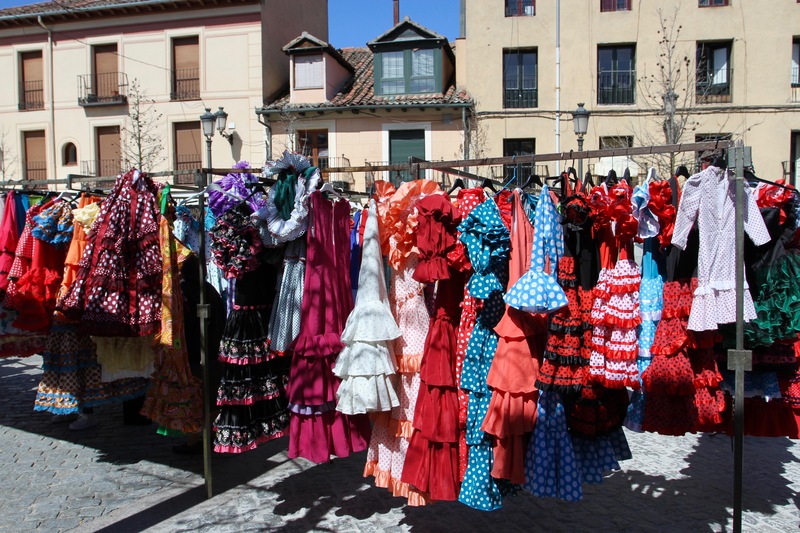 Today, wandering the sleepy streets of San Ildefonso is almost as interesting as the palace itself. The drive from Segovia to reach San Ildefonso took less than half an hour, although the satnav on our hire car did it’s best to make even that journey a Kafkaesque experience. We found somewhere close to the palace to park and, after fighting our way through an enormous school group, bought our tickets and passed through security into the palace interior. It’s certainly not one of the grandest palaces I’ve ever seen, but the interiors on the first floor are interesting, with ceilings covered in beautiful artwork. 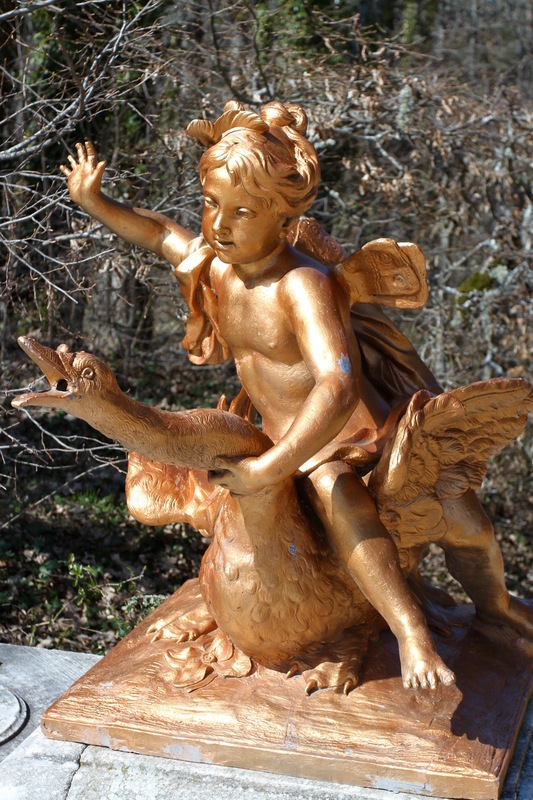 The ground floor is less interesting – the rooms come with life-size statues, too many of which are plaster cast replicas – and we passed through quickly hoping to get into the gardens before they were flooded with schoolchildren. If the interiors are somewhat disappointing, the massive gardens really aren’t. 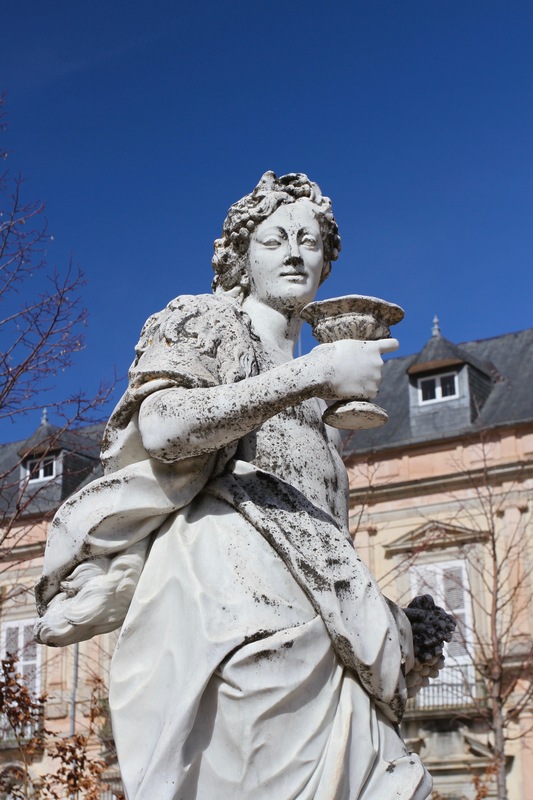 The walk along the central avenue behind the palace passes a cascade of fountains (not working until 5pm) to a viewing point on a small hill. The views back to the palace are tremendous. It was still early and there were few people around as we wandered lovely pathways through woodlands sprinkled with ornate fountains. Occasionally, we were given vistas down tree-lined avenues to snow-capped mountains in the distance. We eventually made our way back to the palace and went into the town to find somewhere for lunch. There was a small market but the town was still very quiet. It’s hard to believe this was once the epicentre of Spanish government. 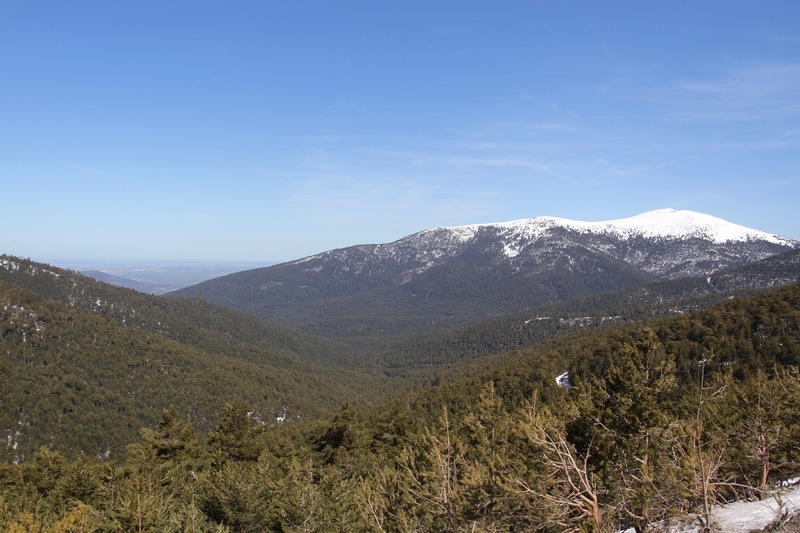 We had to get back to the airport for our flights, but our route wound steeply upwards on hairpin bends through the Sierra de Guadarrama, until we eventually reached the ski resort of Estacion Puerto Navacerrada. Here, on the boundary between Castile y Leon and Madrid, we admired the views back towards this fantastic Spanish region and made plans to come back.